Join us for our second Rural Ramble at The Forgotten Gardens of Easton Lodge on Saturday 13th April 2019. This is a unique opportunity to enjoy a beautiful walk around the surrounding countryside and The Forgotten Gardens of Easton Lodge just outside Great Dunmow. 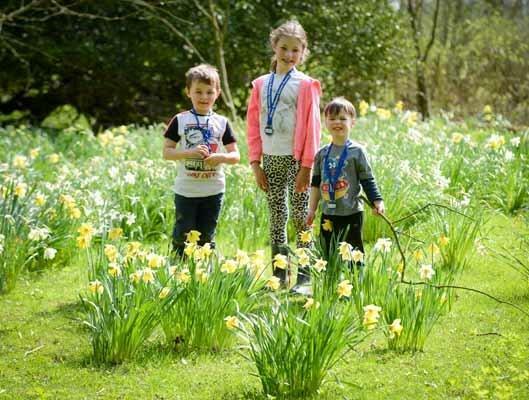 There are three distance options for participants; 10 mile walk and garden visit, 4 mile walk and garden visit or a 1 mile walk family trail and garden visit and every ticket includes a cream tea. Whichever route you choose, this promises to be a great day out for all the family. The gardens which are entirely maintained by volunteers, comprise of a walled kitchen garden dating back to the 18th century, a wild flowers area for the bees, formal gardens and beautiful carpets of snowdrops in the spring, situated a few minutes outside the historic market town of Great Dunmow.